If you are familiar with the name Fuzio Coffee House, then you'll know they are no more operating at Bukit Bintang area. And.. if you are missing the food at Fuzio Coffee House, I have good news for you! 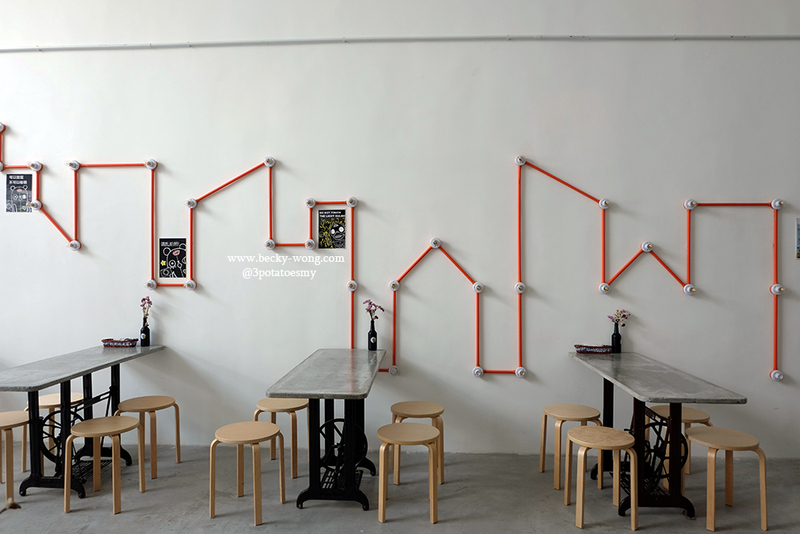 The owner of Fuzio Coffee House has opened a new cafe at Cheras named Eastssswork Art Studio Cafe 艺食屋の物语! Eatssswork Art Studio Cafe is really spacious and I like all the natural sunlight they are getting from the windows. The owner has put in lots of thoughts into the interior. If you look carefully, the tables were made from traditional sewing machine legs. 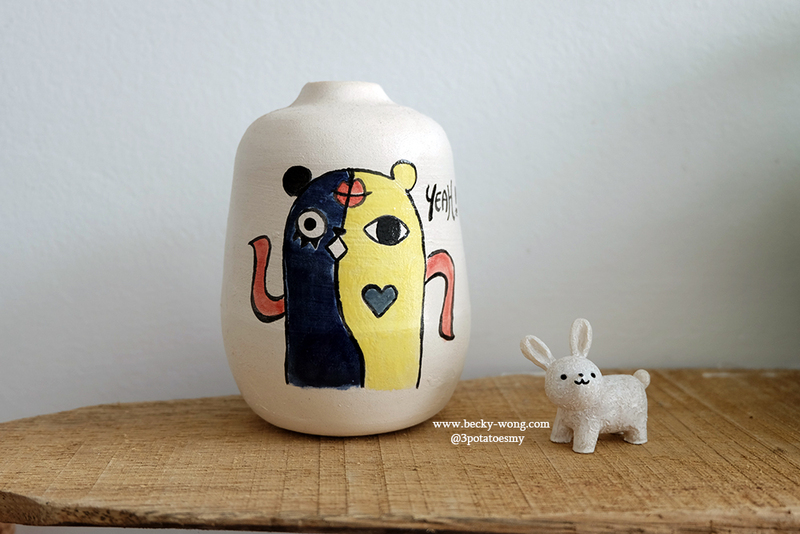 The owner actually traveled to lots of places just to hunt down all these treasures! 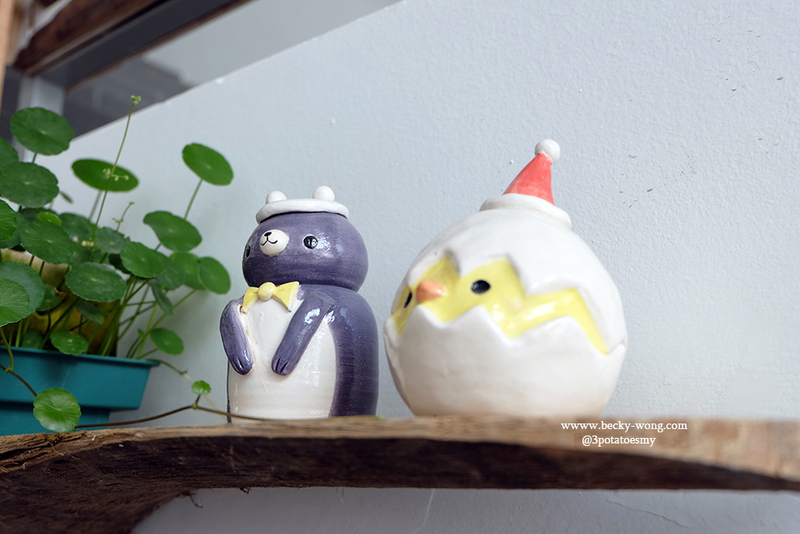 Looking around the cafe, you'll find lots of crafts and artwork. They are just so cute!! After finishing admiring the artwork, is time to feast! 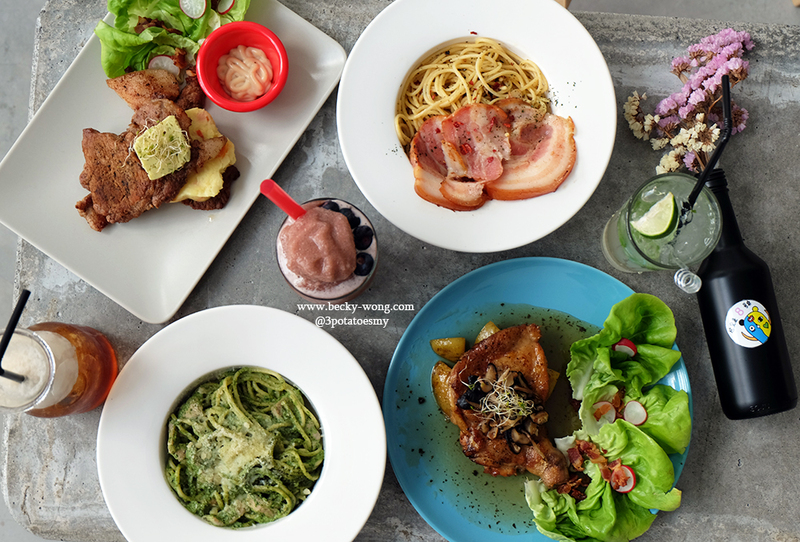 Pork Fillet with Pesto (RM 16.90). Traditionally, pesto is made of basil, but the owner decided to give his own twist to the dish by using cilantro instead! Yes, cilantro. If you love cilantro, this pesto will definitely be your go-to dish. Personally, I don't fancy cilantro so I wasn't a big fan of this dish. 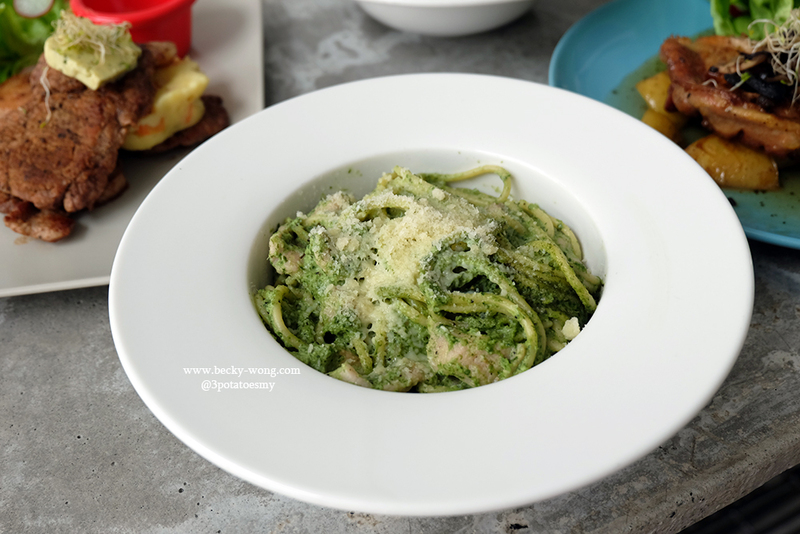 Compared to the pesto, I absolutely love the Pancetta Aglio Olio (RM 17.90). Look at the generous cuts of pancetta on top of the spaghetti! 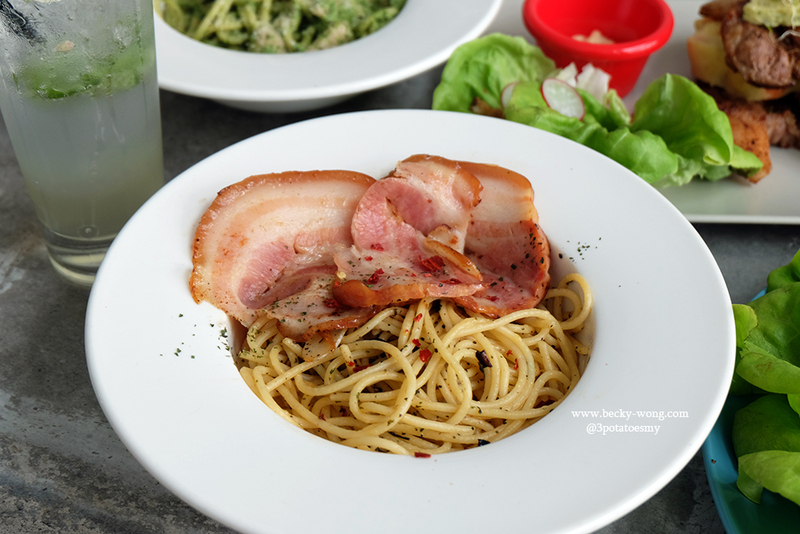 The aglio olio was a little bit spicy, but it goes very well with the savoury pancetta. 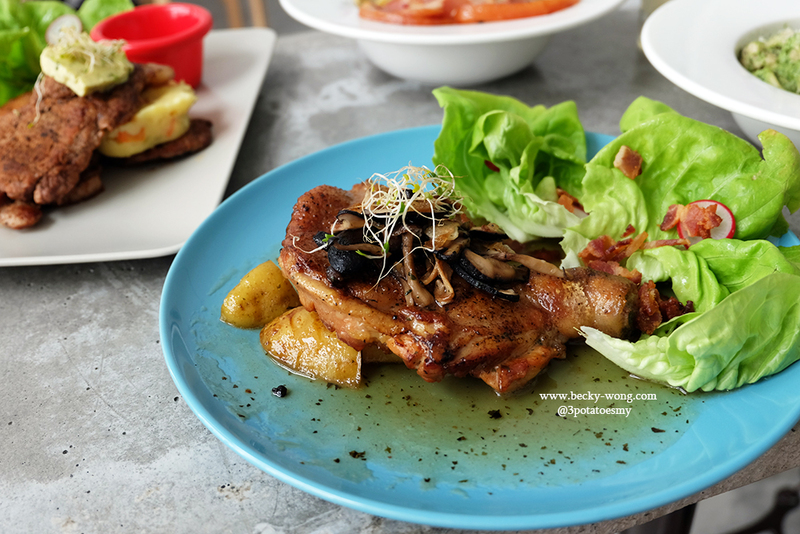 Lemon Chicken Chop (RM 17.90). A piece of tender and juicy chicken drizzled with lemon sauce. It was super appetizing and I love the chunky mashed potatoes with bacon bits. A highly recommended dish whenever you are at the cafe. 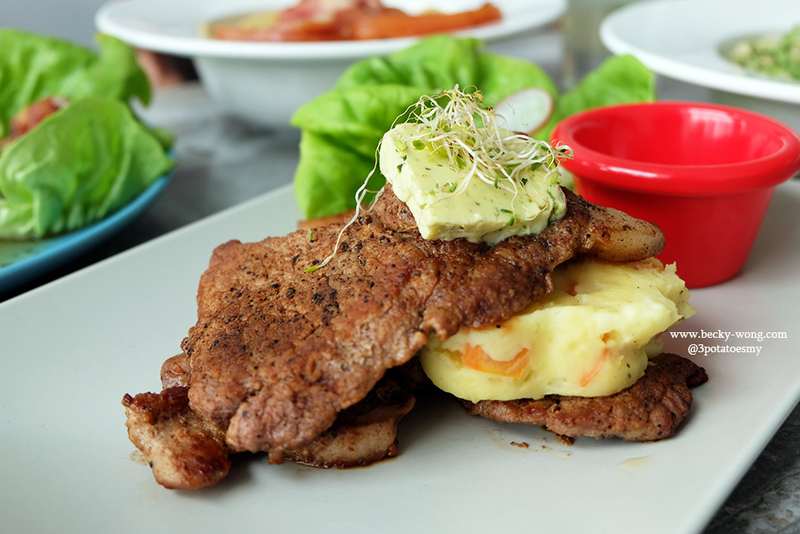 Pork Steak with White BBQ Sauce (RM 22.90). The pork was perfectly marinated and already very flavourful on its own. Spread the homemade garlic butter all over the pork while it's still hot, to enhance the flavour of the dish. Personally, I didn't feel the need to pair it with the sauce at all! 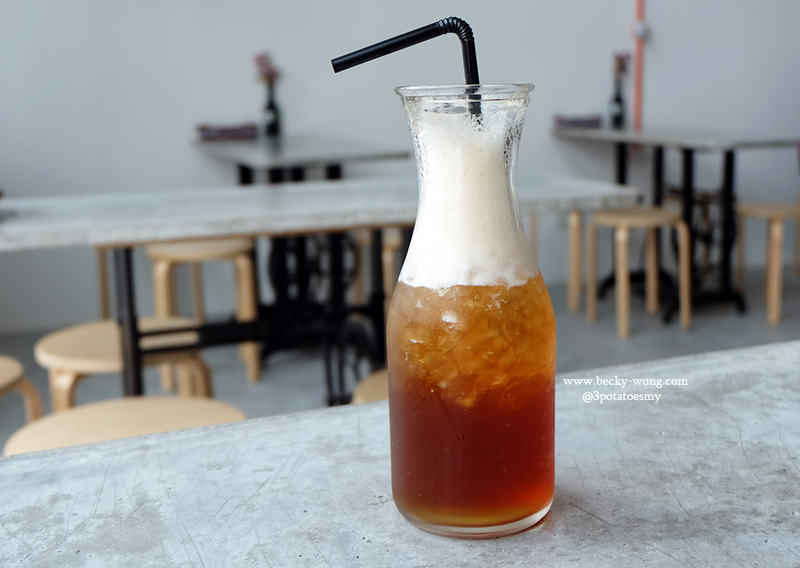 Lemon Lime Tea (RM 6.90). A bit of citrusy, the tea was very refreshing. 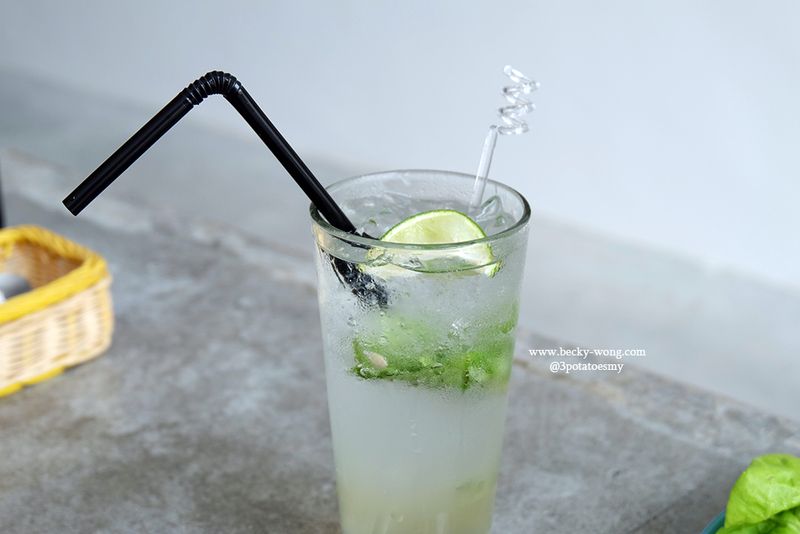 The Mojito (RM 9.90) was minty and very cooling. Another of my personal favourite at the cafe. 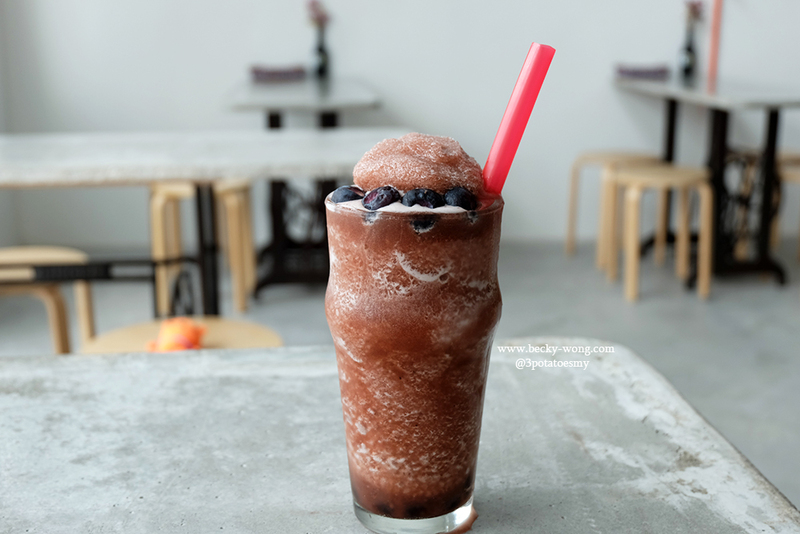 Banana-Berry Smoothie (RM 12.90). Who would have thought bananas and berries could go so well together. A little bit of sweet and a little bit of sour, the smoothie was surprisingly good! You don't want to miss out on this. 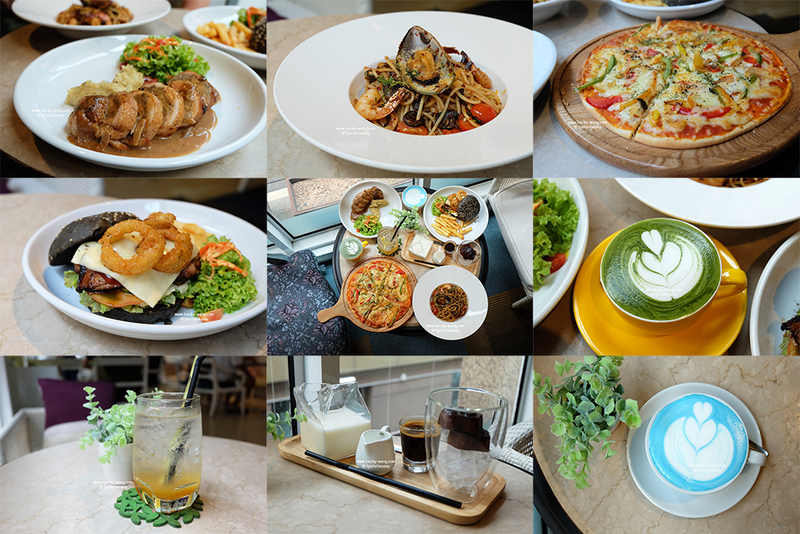 All the dishes at the cafe were prepared by the owner himself, and they will make a trip to the local market to buy fresh ingredients for the day. 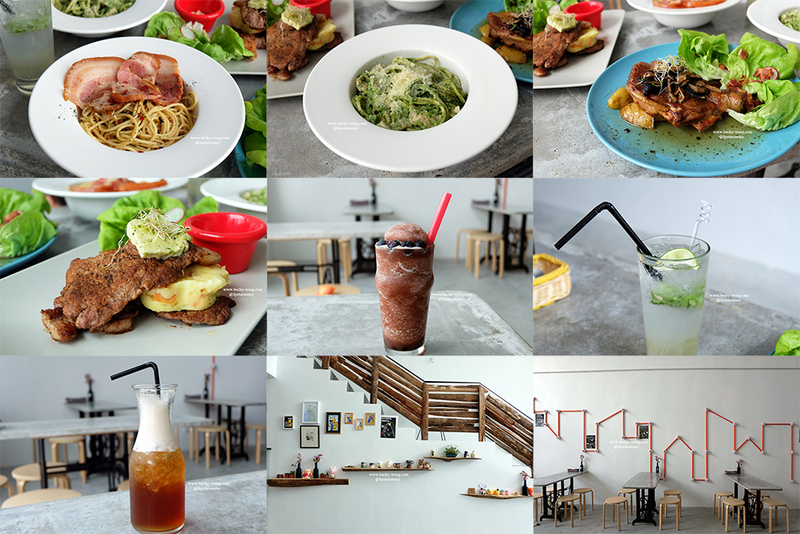 Located far far away from the busy streets of Cheras, Eatssswork Art Studio Cafe is a quiet and cosy cafe to chill. To make the cafe even more perfect, finding a parking at the area is super easy! 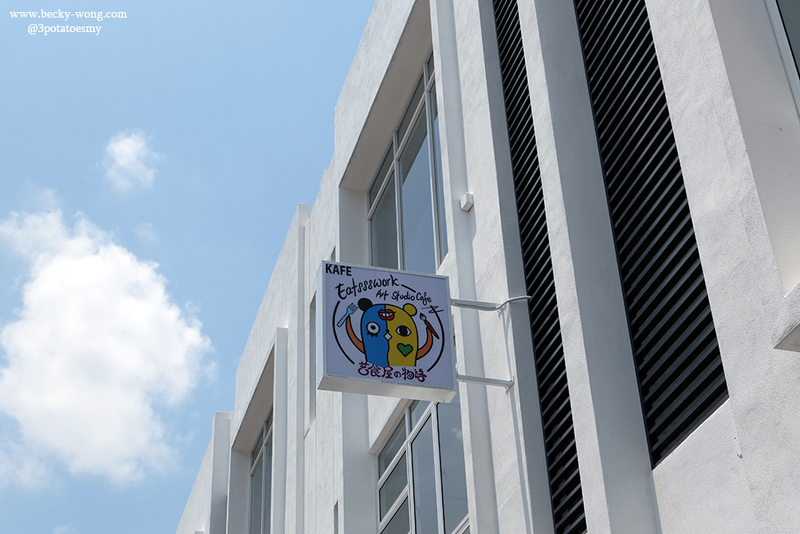 For more updates on Eatssswork Art Studio Cafe, do visit their Facebook and Instagram.